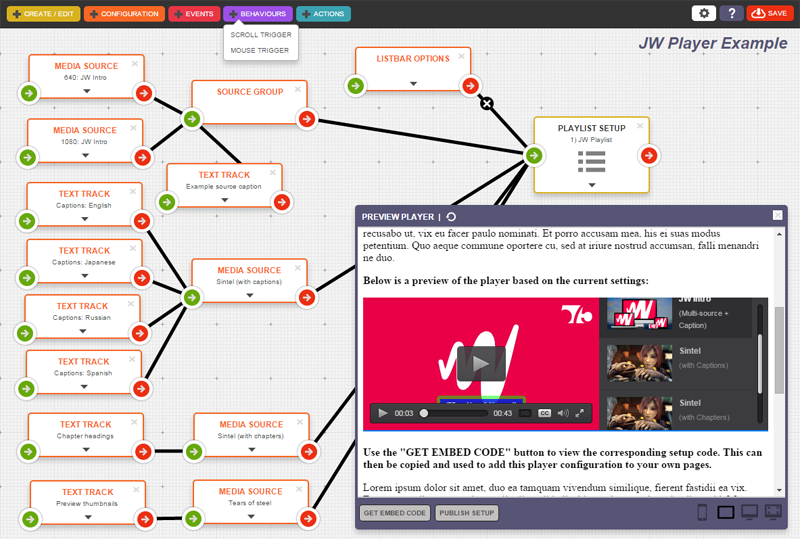 Tatami for JW Player is an online configuration tool which allows you to build quite complex JW setups, with common behaviours and actions, using an intuitive drag-n-drop visual interface. Tatami provides the means to build modular configurations which can then be used to extend JW player embeds by simply drawing lines and connecting various components. It also includes a “codepen” style sharing facility where one person can build a configuration, snapshot it, and then send it to someone else for review and tweaks, before generating an updated embed code.